Cruise the side streets in style with this Euro-style electric scooter from Razor. Featuring a high-performance, chain-driven electric motor and a vintage-inspired body, the Pocket Mod can reach speeds of up to 15 miles per hour--plenty fast enough for a quick trip to the corner store or a fun ride in the country. 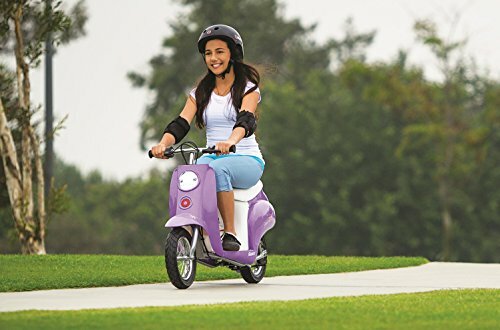 The scooter also teams a pair of 12-inch pneumatic tires with a rear suspension system to ensure a comfortable ride. 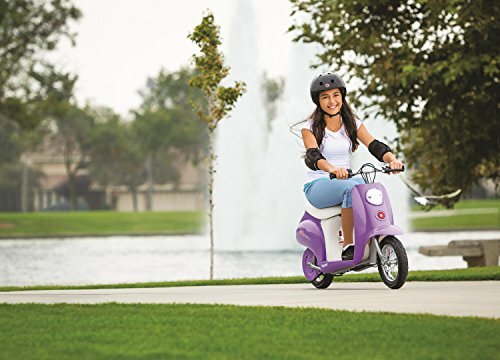 Other features include a retractable kickstand, variable-speed acceleration, a padded seat, and a built-in battery that travels for up to 10 miles on a single charge. 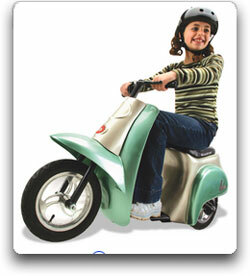 Perfectly sized for young riders. 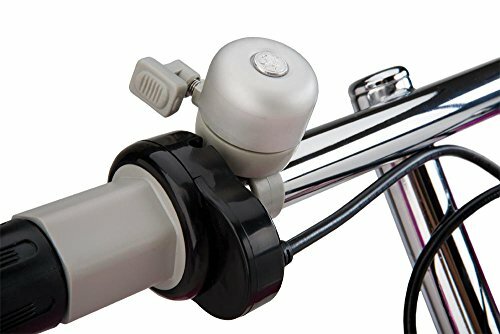 The buyer and rider of the Pocket Mod are responsible for knowing and obeying all local, state, and federal regulations regarding the riding and use of this scooter. The Pocket Mod, which is designed for ages 12 and up and offers a weight maximum of 150 pounds, is also backed by a 90-day warranty. Founded in June 2000, Razor USA, LLC is a privately held company based in Cerritos, California and holds the worldwide rights to the Razor® brand. Home of the wildly popular Razor kick scooter, Razor has other scooters like the E100, E200, and E300--all electric scooters. 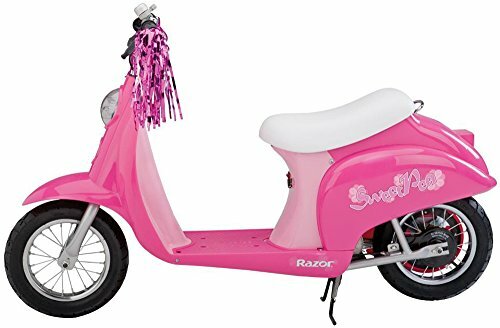 The cutting-edge line of Razor products also includes the Dirt Rocket, Pocket Mod, Pocket Rocket, Ground Force, a line of electric powered ride-on toys, and a junior line of scooters. Razor also offers an action video--RVM--featuring Team Razor (pro scooter athletes ages 9 to 20, who tour the world participating in demonstrations and competitions). Razor has numerous awards including Toy Industry Association's "Toy of the Year" and "Toy of the Year" honors from TIME, Parents, Parenting, Sports Illustrated for Kids, Nick Jr., and U.S. News & World Report.